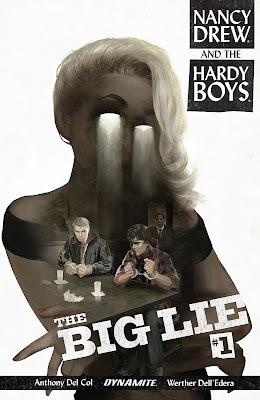 Anthony Del Col, one half of the duo who brings us Kill Shakespeare, updates the two icons of adolescent detective fiction quite well in this recent series. Both Nancy and the Hardys have been “reimagined” before, and they’ve been translated into comic adaptations as well. It is Del Col and Dell’Edera’s new approach that makes this edition vital. This series manages to find that ever so difficult balance between reverence and relevance. It can become trite to throw around the term “masterpiece,” but I think that this Lemire/Nguyen collaboration will reach that status by the time this series ends. Descender is uniquely original in both concept and expression. Lemire pushes narrative boundaries, and Nguyen continues to experiment with his deconstructed art style. 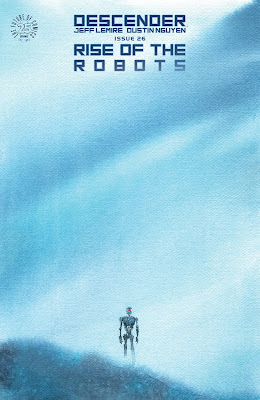 This issue marks the conclusion of the “Rise of the Robots” mini-event, and it should be something special. Death, taxes, and the Panel Patter team picking Mage. It’s a somewhat predictable pick, but it deserves to be. Issue four concludes the first arc of “The Hero Denied,” which has been exposition-heavy in Wagner’s dedication to hammering home the characterization of his semi-autobiographical protagonist. Kevin Matchstick is a reluctant hero, not a warrior. His confrontation of the inevitable drives the conflict of the series, and it speaks to the greater relevance of Wagner’s opus. I have loved this series, and I’m incredibly happy that it will be turned into an ongoing. Pak and Miyazama put together a remarkable tale, but it’s all held together by Triona Farrell’s beautiful color work. The series looks like an 80s mecha anime, and I mean that in an entirely complimentary way. There’s a certain way a comic can pull at nostalgic heartstrings in a manner unlike other media can. Mech Cadet Yu is a great read for those of us who grew up with Robotech, or anyone who enjoys a good underdog story. 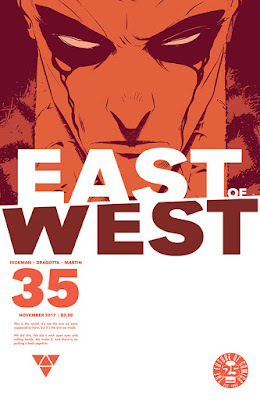 East of West #35 from Jonathan Hickman, Nick Dragotta and Frank Martin, Published by Image Comics. East of West is probably my favorite comic out right now. But I feel like even that undersells what a good book this is. It's huge in scope, ambitious, intelligent, very creative, which is all things you'd expect from a work by Jonathan Hickman. But it's also consistently one of the best-looking comics you will ever read, thanks to the spectacular team of Nick Dragotta on art and Frank Martin on colors. Dragotta's style is kinetic, visceral, emotional, and innovative, and Martin's colors are practically a character in the story unto themselves. I certainly don't advocate picking this book up at issue 35; rather, pick this one up from the very beginning and do a deep dive on an amazing story. 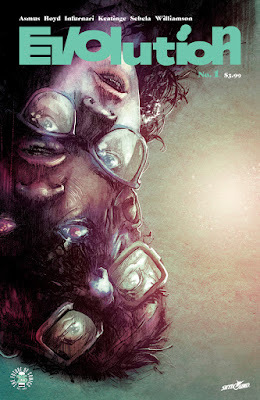 Evolution #1 from James Asmus, Jordan Boyd, Joe Infurnari, Joe Keatinge, Christopher Sebela and Joshua Williamson, Published by Image Comics. This is a strong creative team. It's also a huge creative team. I like Infurnari's art (he drew The Bunker with Joshua Fialkov) and there are a lot of good writers involved here (which I am sort of curious how that'll work). A weird story of the human race evolving in some unusual way? 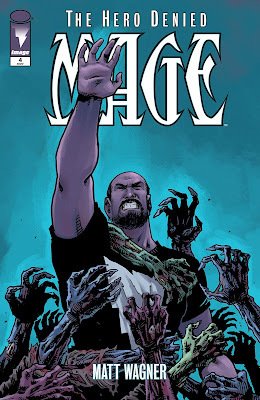 Brought to you by Infurnari and talented colorist Jordan Boyd? Sign me up. Doctor Strange #381 from Donny Cates, Gabriel Hernandez Walta and Jordie Bellaire, Published by Marvel Comics. 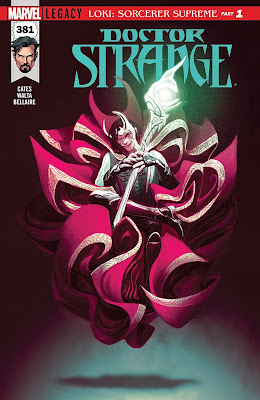 I haven't been reading the Doctor Strange comic regularly for a few years, and it sounds like it'll be a fun story (Loki becomes Sorcerer Supreme of Earth) but the real hook for me is the new creative team. Donny Cates wrote one of my favorite stories of 2017 (God Country), and he's joined here by Gabriel Hernandez Walta and Jordie Bellaire, the art team from The Vision, one of my favorite comics of the past 5 years. Cates gets stories that both feel big and intimate, and Hernandez is a highly skilled, thoughtful illustrator (with always terrific colors from Bellaire) so I'm very excited to see what this team does. 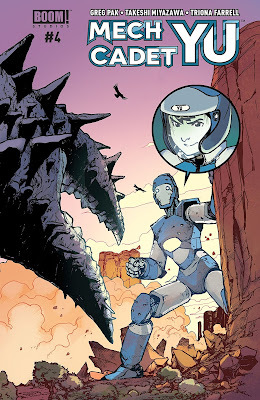 Mech Cadet Yu #4 from Greg Pak, Takeshi Miyazawa and Triona Farrell, Published by Boom! Studios. If you haven't been reading Mech Cadet Yu, you're missing out. This is a wonderful creative team, as Pak is telling a terrific all-ages story with a ton of heart, which is brought to life by the gorgeous artwork of Takeshi Miyazawa and Triona Farrell. It's fun, exciting, and will legitimately engage both kids and grownups. "Boy gets robot" is not an uncommon theme for a story, but it's executed really well here. I'd recommend catching up or reading this one when it's collected, and sharing it with the people in your life that enjoy giant robots and/or underdog stories (which, if that isn't everyone, you should get new friends and relatives). 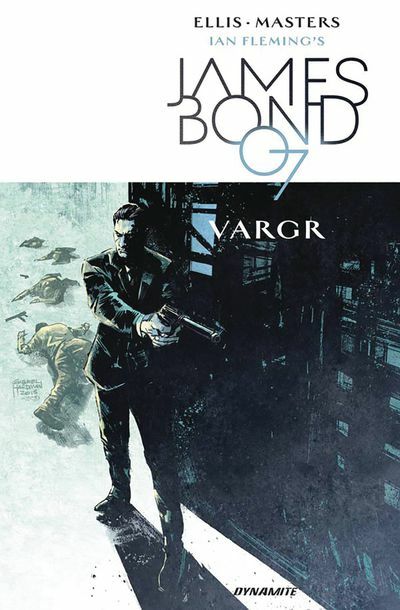 James Bond Vol 1: Vargr by Warren Ellis and Jason Masters, published by Dynamite. My Bond roots run deep, going back to when I barely understood there were jokes I wasn't supposed to get. When I heard Dynamite was doing Bond comics, I was so excited I even did a post about it. Well, Warren Ellis and Jason Masters didn't disappoint, providing an arc that hints at this being the Craig Bond, but giving him personality that the movies just didn't have. Ellis' sarcasm means Bond is jaded as all hell. Meanwhile, though Masters is a bit too stiff for me, he captures the suave sense of the Bond world that we know and love. If you missed this first time around, don't sit on it. M's orders! 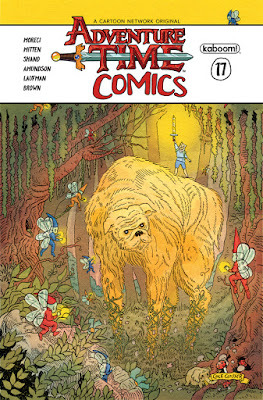 Adventure Time Comics #17 by Various Creators, including Mike Moreci, Jeffrey Brown, and Christopher Mitten, published by Boom! Studios. I've talked before about how much I enjoy this series, which features a rotating cast of creators playing in the Adventure Time world. Mentioning it again because this one has Panel Pal Mike Moreci (Superman!) as a writer and Jeffrey Brown (Star Wars!) as a writer-artist. I can't wait to see what those two do with Finn, Jake, and company. 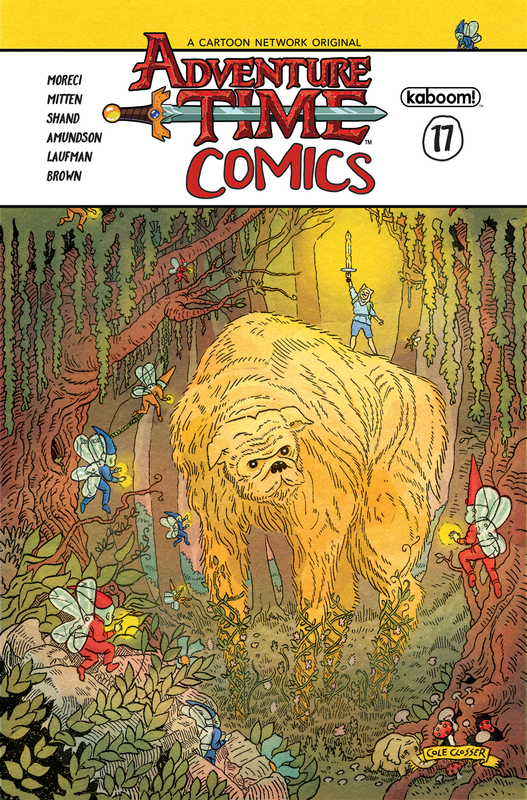 The last time Brown worked on an Adventure Time story, the results were amazing. This should be, too. 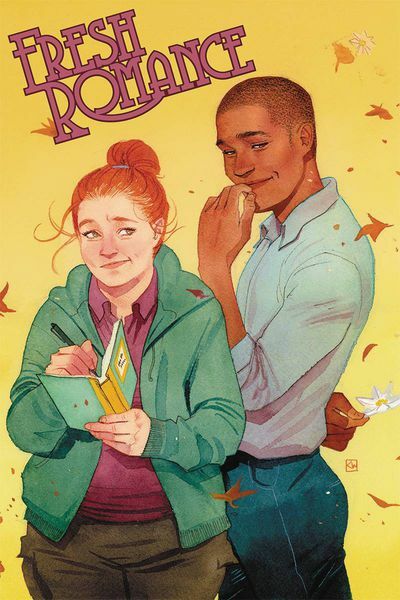 Fresh Romance Volume 2, by Various Creators, published by Emet Comics. The first Volume of Fresh Romance blew me away with its overwhelmingly fresh takes on familiar romance tropes. I know none of the creators this time around, but I trust the editorial team to bring you a great set of stories that feature queer content and a cast that isn't lily-white. Romance comics have a long history in the medium, and it's good to see someone picking up that torch and running with it, providing quality content that's both well-drawn and well-plotted.